Open Innovation 2020: 5 Trends to Know. In 4th quarter 2014, The Innovation Garage® visited 7 cities and attended or facilitated 7 events on the subjects of The Next Decade in Procurement, Design for Manufacturing, Supply Chain Technology, Innovation Executive Leadership and Accelerating Innovation across the mid market company enterprise. Trend 1: Welcome to the Worlds First Truly Free Market. The Internet has smashed the playing field and traditional business models for EVERYONE. 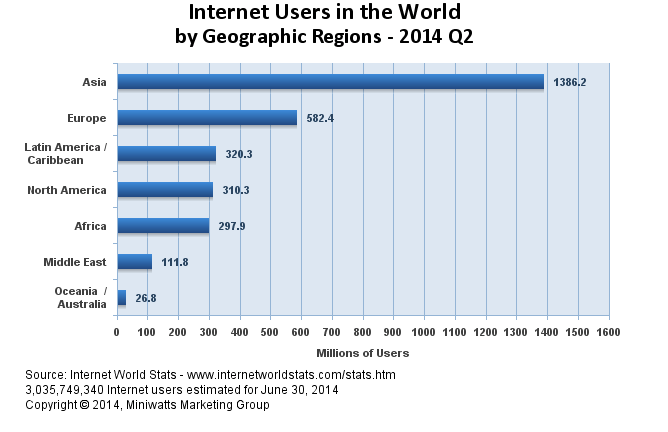 Internet usage has grown from 100 million users in 1999 to 3 billion. Did you know that today, with some internet savvy research by your customers, 75% of the customer buying decision is made BEFORE you deliver a quote, provide a proposal, or pitch to your prospects what you have to sell? By the time you have your first customer contact, your prospects and customers know the exact features they need, have compared against others in the marketplace, and have done enough research and benchmarking that with no fear, they will immediately begin negotiations on driving your price down. You need to be real and do what you say. No one can hide anymore. If you cannot deliver value to your customers, your company, your company’s offerings, and maybe even you, as an employee, will become a commodity. How will you deliver value? Value that is not commodity and not subject to commodity price pressures. Your role as a leader is to figure it out. Trend 2: We are More Connected than Ever. We’ll dive deep into what that means for your business and how the connectivity is driving collaboration on a scale not seen before. We’ll share what we’ve learned and introduce some thought leaders that are looking to harness the connectivity in collaboration. Trend 3: There is Fear Everywhere. Regardless of company size or industry segment. For Profit, Non-Profit, Large Enterprise or small. Many senior leaders and employees are in fear of losing their jobs, scared of what the future holds, and don’t know what to do. We’ll explain what steps key leaders are taking to drive down the fear. Trend 4: Passion Drives the Millennial Generation. Millennial’s want to make a difference. Six figure plus salaries, free meals, transportation and Silicon Valley environments are falling flat to satisfy their desire to change the world. We’ll explain what drives them and how they see their mission in the workplace. Trend 5: Massive Change in Education and How We Learn is Necessary. Traditional education models are broken. Just because you have access to advanced technology like 3D printing and robotics doesn’t mean you can scale up for mass manufacture quickly. Manufacturing Companies are in a massive struggle to find employees with basic technical and math skills. We’ll share the challenges and the solutions that many company leaders are looking at to scale up their workforces with education and technology to accelerate speed to market. Founded in 2012, The Innovation Garage is a business Innovation Firm driving long-term growth of companies and non-profits, from start-up to fortune 1000. If you’d like to learn to more about our approach to the innovation education and operating systems contact us at http://www.the-innovation-garage.com email: info@the-innovation-garage.com to learn more or request real world deployment case studies. Reblogged this on HalGood's Blog.